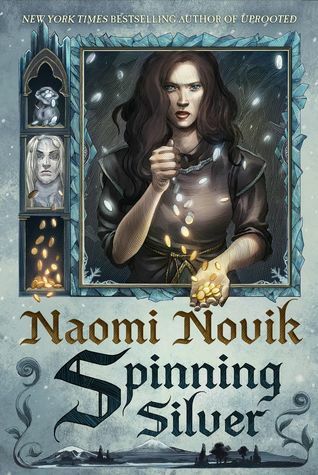 I read my first Naomi Novik book a few years back--Uprooted--and absolutely loved it. So I was super ecstatic about Spinning Silver. Unfortunately, while Spinning Silver has that same, magical telling, a wonderfully crafted world, with a lot of interesting characters and lore, it didn't feel as well-outlined as Uprooted had been. I DID get drawn into it readily at the beginning and had really high hopes that things would continue on wonderfully even as I was wary of the switching first person POVs. 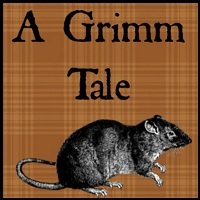 As a retelling of Rumplestiltskin, it took only a few traits from the original fairy tale and sprinkled it around several of the characters, in each of the three or four ongoing tangential story lines. But I think that might have been it's disadvantage. There were entirely too many stories and too many point of views being narrated throughout this book. And all of the book's narrations were done in first person. I'm already not a big fan of first person, but I've learned to live with it, as well as love it in certain forms or even certain specific books. While I learned to figure out which narration belonged to which character based on how someone was addressed and how the voiced came across, it still managed to get a little confusing, as well as pretty tiresome. Again, there was just too much going on. Which is a shame, because I loved the underlying main conflict and the main story dealing with Miryem and the Staryk king. I became interested in the story following Irina and the demon-possessed young tsar, Mirnatius. And I probably would have enjoyed Wanda's telling as well if her story hadn't tapered off into the background as just filler for when neither Irina nor Miryem were the narrators. Then you start to include a dozen other POVs as well--Stepon, Magreta, even Mirnatius, himself--and things start getting complicated, and unfortunately, dragged out. I feel like we didn't need to see every single scene or action from every single possible angle. But nearing the end of the book, that's what it felt like and I was impatient to have the story get on with the main conflict dealing with the Staryk king and the fire demon's fates. Anyway... this book could have been so, so much better. Instead, it was enjoyable to an extent, and really just fades in comparison to Uprooted. Or, well, to whatever retelling I'd been excitedly anticipating from Naomi Novik. Not to say it wasn't enjoyable, because minus some of the unnecessarily dragged out scenes, I think it could have been great. The descriptions were beautiful, the bursting of culture was decadent, and the characters were so fleshed out that you could imagine all of them having a tale of their own... just not packed so tightly into this book where there was already a lot going on. I love Naomi Novik's writing style, both in Uprooted and in this book. So I'm definitely going to keep an eye out for more of her work, as well as move her Temeraire series up on that ever-changing TBR I have going!